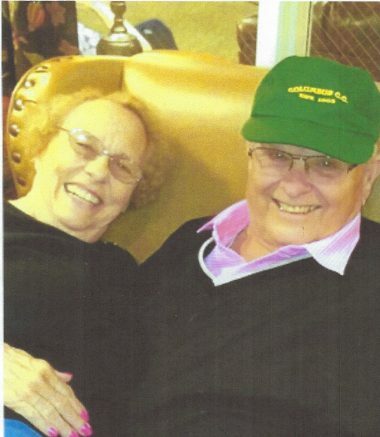 Judy Smith of Bath, died early Sunday morning February 3 at Greenfield Estate; an Alzheimer’s facility, with her husband of 60 years at her side. We are comforted to know that she is now with the Lord. Judith Mary Bach was born September 6, 1935 in Milwaukee;where she grew up. She attended Northwestern University where she met her future husband David. They were married in 1958 and started their family in suburban Chicago. Judy taught kindergarten for a few years after graduating from NU. Three of their five children were born there before they moved to northeast Ohio in 1964, where David continued his career in life insurance sales and management. Two more children were born in the area, the last one after they had moved to Aurora. Judy raised her children with love and passion and as they began to leave home she played a very important support role in her husband’s insurance agency management acting as cheerleader, sounding board, and presenter of “outside the box” ideas. Judy’s life changed in 1970 when she began to follow Jesus as her personal savior. She read and studied scripture which invariably comforted her even when her personal circumstances were problematic. Her passion for the Lord was inspirational for her friends and family. Judy made several mission outreach trips in the states and overseas. In retirement, Judy and David lived in Ohio and in Amelia Island FL. Her Alzheimer’s was first diagnosed in ’07 and they moved back to Ohio full time in 2012 to be closer to family, their church, and physicians. She is survived by her husband Dave, five children, Andy(married to Brooke Smith), Gretchen (married to Terry Clark), Ellen, Katy (Married to Gary Huggins), and Ben. She had six grandchildren. She will be missed by all who knew her for who she was and her beautiful smile and laughter; she brought a lot of joy and brightness into their lives. Thanks to the staff at Greenfield Estates and Crossroads Hospice for their wonderful caring. Calling hours will be held at 9:30am followed by a service at 10:30am on Saturday February 9 at CrossPoint Church 855 Rothrock Rd Copley OH 44321 (the corner of Cleveland Massillon and Rothrock Roads.) A luncheon in celebration of Judy’s life will be held immediately after the service. If you wish to make a donation please do so in Judy’s name to Alzheimer’s Disease Research or The Alzheimer’s Association.